Performed, recorded and mixed by JF and AP at The Hill, St Louis, MO. Some classic recordings are premeditated, but in certain rare instances, when an artist has something else entirely in mind, art barges through the studio door and takes over, bending the artist to its will. 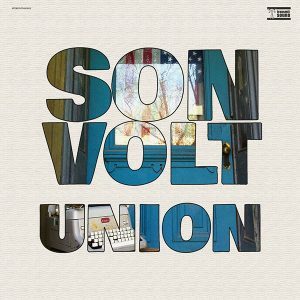 That’s what happened to Son Volt/Uncle Tupelo auteur Jay Farrar and his friend, Varnaline founder Anders Parker, who met up at Farrar’s St. Louis studio in the autumn of 2004 with the intention of recording a Son Volt album, with multi-instrumentalist Anders Parker sitting in. Although that project got postponed, another one willed its way into existence in the space of five days, and was thoughtfully captured on two-inch tape by the principals. “It turned into something neither of us anticipated,” Parker readily acknowledges. 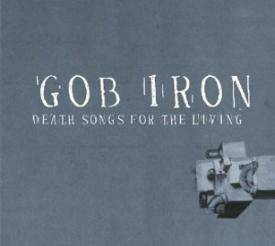 This spontaneously created but strikingly coherent album, which bears the upbeat title Death Songs for the Living (released Oct. 31 on Transmit Sound/Legacy Recordings), stands as a real-time landmark from these two musical and spiritual kinsmen, who have retroactively adopted the moniker Gob Iron (that’s British slang for a harmonica), for reasons of their own. The nine reconfigured folk songs and one original Farrar and Parker chose, arranged and performed on the fly during those fruitful impromptu sessions serve as a mesmerizing demonstration of the sustained creative reverie that can take place when two utterly attuned artists come together and simply allow themselves to be pulled along by their taste and instincts. 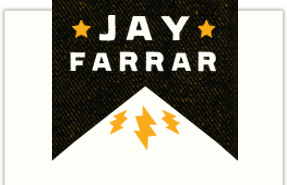 Death Songs for the Living consists of a series of very different takes on these American folk standards, intercut with instrumental miniatures – Farrar refers to them as “extemporaneous jams” – which serve as subtle yet taut connecting threads. Employing what Pete Seeger once dubbed “the folk process,” Farrar and Parker have reimagined songs by the likes of Stephen Foster, the Stanley Brothers, the Rev. JM Gates and others, interpolating elements of other traditional pieces as well as writing new, sometimes highly personal lyrics, so that the results sound both ancient and immediate, bringing a new layer of authenticity to the material. It was as if the very atmosphere of America was filling the lungs of the two artists as they sang. THE SONGS: “Death’s Black Train”: This song by the Rev. JM Gates can be found on the Legacy box set Roots and Blues; Farrar was attracted to its ethereal quality and the style in which it was originally presented. Although it belongs to a very different time and place, “the bedrock themes of sin and salvation” (as Farrar puts it) found in Gates’ songs make them especially resonant today. “Hills of Mexico”: Parker heard an aborted version of this song (also known as “Buffalo Skinners”) on the Dylan & the Band five-CD bootleg, Genuine Basement Tapes. His take of their take. Cowboy's get cheated out of fair wage, boss left dead in desert. “Silicosis Blues”: In a brand-new example of the above-mentioned folk process, Farrar brought together the melody of “Paul and Silas in Jail” (another find from the Roots and Blues box set) and the lyric of the miners’ lament “Silicosis Blues,” which he came across on a blues compilation, topping off this roots mash-up with a newly penned additional verse. “Death Is Only a Dream”: Parker slowed down this Stanley Brothers song and reworked it around his piano, emphasizing the dreamy feeling of the choruses. “East Virginia Blues”: Farrar learned this traditional song off a Ramblin’ Jack Elliot record. “It was one song of his that always appealed to me, so we gave it a shot,” he says, with characteristic succinctness. These death songs (and possibly “Buzz and Grind” as well) will come to life, so to speak, in November and December, when Farrar and Parker do a series of special performances. Coincidentally, Parker's third solo release, a self-titled LP (on Baryon Records), which he describes as “an acoustic band record,” also comes out on Oct. 31. Meanwhile, Farrar is working on a new Son Volt album.